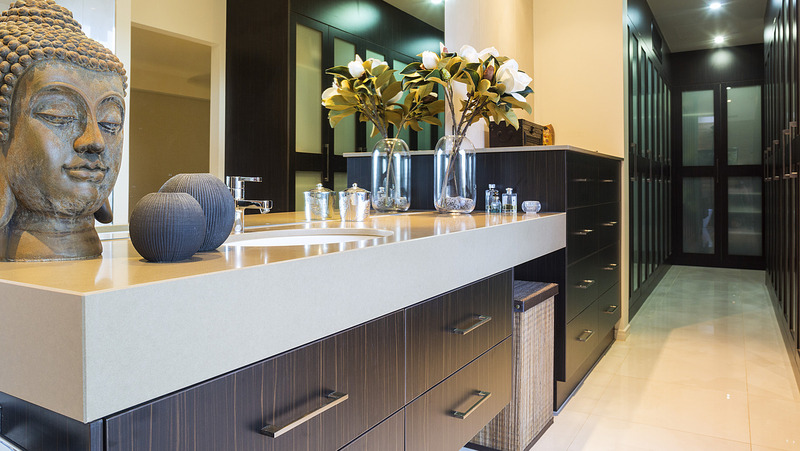 The geometric shape of vanities makes them the perfect bathroom storage solution. Deep drawers and plenty of shelf space are also a draw card. 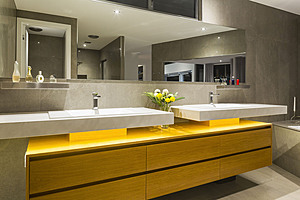 Consider softening the square shape with a round basin and an interesting finish or colour. 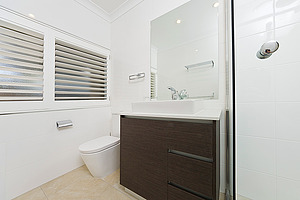 Also wall–hung vanities maximise the use of bathroom space. 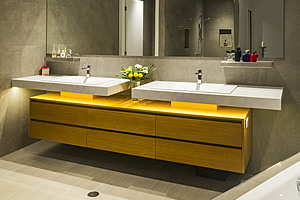 All-in-one easy to use and streamlined units are best. 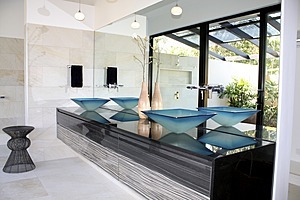 Internally rounded basins are becoming more popular, with the freestanding version best for smaller bathrooms. 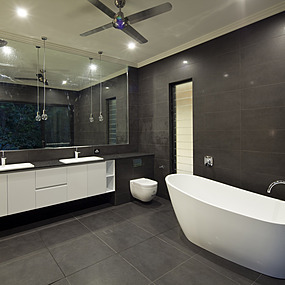 The key to maintaining a bathroom that is both functional and attractive is storage. 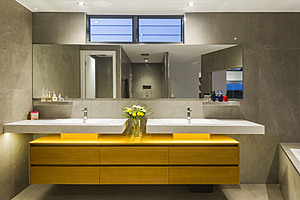 Minimalist free-standing storage and vanity units can be teamed with most bathroom features to great effect. 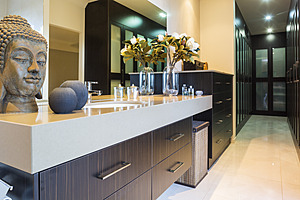 One clever idea is to install shelving behind the vanity mirror.